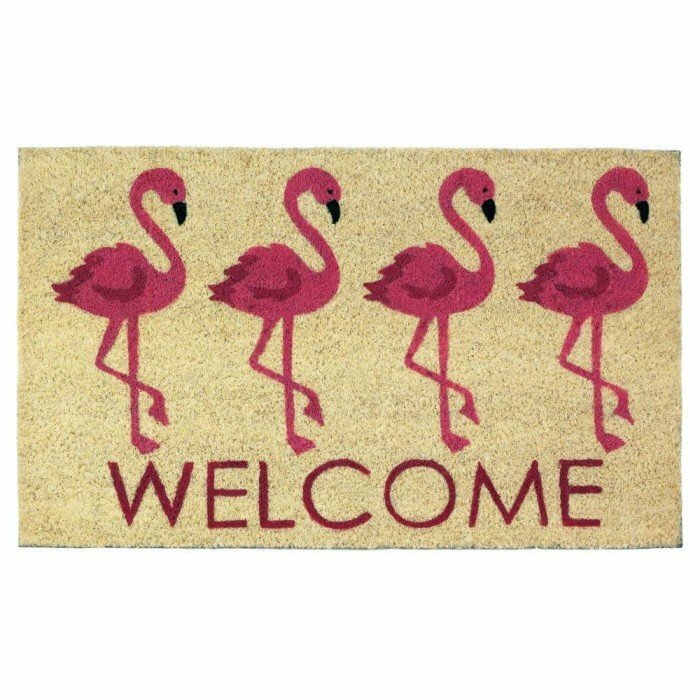 FLAMINGO WELCOME MAT home decor, jewelry, decor, decorations, electronics, fountains, floor mats, art glass, vases, garden essentials, fireplace screens. This fun welcome mat gives your doorstep a little tropical whimsy. The coir mat helps to trap dirt and debris to keep your entry way clean, and the pink flamingo print is a great way to welcome your friends and family. Material(s): COIR PVC. Weight 4.4 pounds. Dimensions 30" x 18" x 0.5"